You complete guide to all of the points and splicers that APF offers. 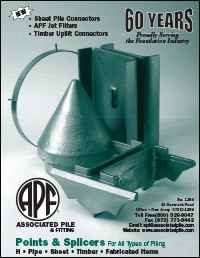 See accessories for h-piles, sheet piles, pipe piles, and timber piles. 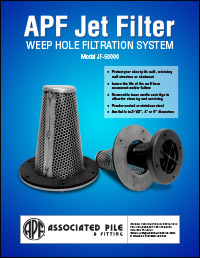 Also includes APF Jet Filters! Learn about the advantages of a Weep Hole Filtration System for Steel Sheet Piles.